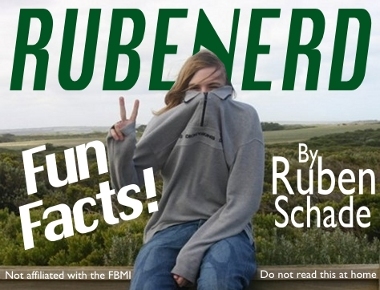 I simply couldn't believe it when I realised, but it's been exactly one year and three days since our last Rubénerd Fun Fact! Not only that, but we're up to Fun Fact #100, an auspicious milestone if ever there was one. So here it is, the fun fact you've waited over a year for! Brace yourself! Ruben has written 100 fun facts, including this one. Well, that was an anticlimax.